Buckingham started his career playing for the Glenora Bears before a match payment dispute saw him play for Mt Albert. Here he won his first two Fox Memorial titles. A longtime Warriors scholarship player, who playing in the 1995 Lion Red Cup Grand Final loss, he played two Super League first grade games under coach John Monie in early 1997. However Monie was fired halfway through the season and Buckingham did not play for the Warriors again. With the launch of the Auckland Lions in the NSWRL Premier League competition in 2007 Buckingham once again became involved in a Trans-Tasman competition. In 2008 he returned to playing in the local Auckland competition and was a part of Mt Albert's Fox Memorial winning side. He also received the club's best half award. Buckingham continued to play for Mt Albert in 2009 and came out of retirement as player-coach in 2011. While still playing in 2009 Buckingham served as an assistant coach under Brett Gemmell. 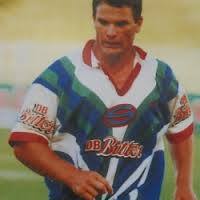 In 2010 Buckingham became the Lions head coach when Gemmell was appointed the coach of the Auckland Vulcans. In 2013, 2014 and 2015 he coached the Akarana Falcons in the National Competition.